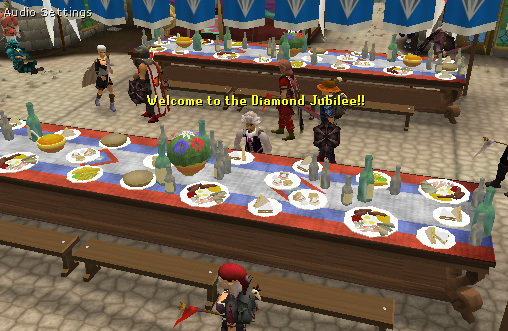 The Queen is coming... to Varrock! Are you ready to help in the celebration? Celebrate the 60th anniversary of the reign of the Queen of England with a street party! There's lots going on: a corgi hunt, cryptic clue fest, balloon popping and a souvenir and food stall. Head on over to Varrock market square if you want to take part in this event. 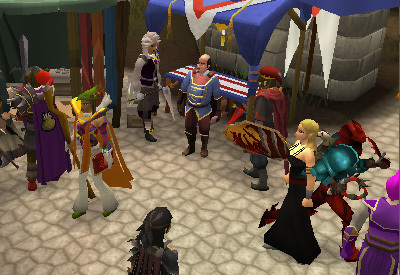 Head to the centre of Varrock to enjoy the festivities. The holiday event is located in the Varrock main square. You can use the Home teleport spell and when you arrive at the lodestone, walk north to the event. You can also use the typical Varrock teleport spell to arrive directly in the middle of the city. 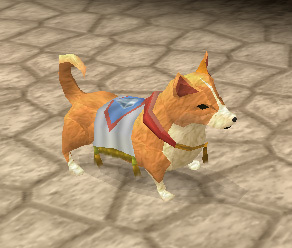 When you find and click on a corgi, you will see a message saying that it has wondered off to Varrock. Once you have found all missing Corgis, go back to Varrock and talk to Minnie Coop again to get your new pet! You can talk to Big Ben, who is also standing near to the Varrock fur trader to participate in the Cryptic Clue Fest. He will say that the queen will arrive and they are not ready. He will tell you to talk to Essjay if you are willing to help. Talk to Essjay and she will say that you should check the Official RuneScape Forums. Once you have completed all the clues you will receive a Diamond Sceptre and Crown. Located next to Gipsy Aris's tent, he will say that one of the guards has escaped to work as a servant. 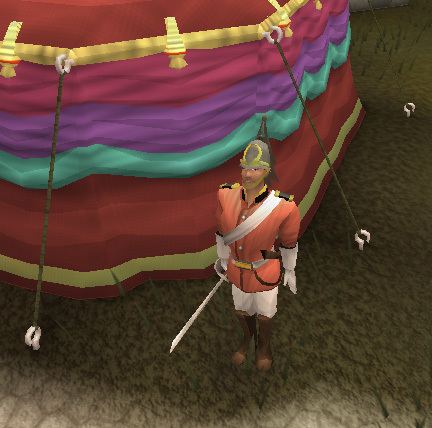 You can hire the Royal Guard for 500 coins at the Ardougne Domestic Service Agency. Next to Zaff's store, you can talk to him to buy Jubilee Souvenirs. Here you can find colored flags and hats and other items like celebration cakes and confetti for a few coins.